AEGEE in Siberia? “People are very skeptical when they hear about some European NGO”, says Anya Bogdanova, treasurer of AEGEE-Tyumen. On the other hand, Tyumen is probably the most European-minded city in Russia, despite being as far as 1700 kilometres East of Moscow. In the seventh segment of the Golden Times series “AEGEE on the edge of Europe” we take a closer look at AEGEE-Tyumen, geographically the most Eastern antenna of the network. One of the biggest problem for this incredibly enthusiastic young local is obtaining visa. Golden Times: How European-minded are normal people and students in your city on a scale from 0 (not European-minded at all) to 10 (extremely European-minded)? Anya Bogdanova: It is a difficult question. I was afraid to be not objective and so I made a survey. As a result we got 5 out of 10, middle. There are proactive people who are really European-minded, and there are people who are passive and conservative and don’t want to open their minds. To my regret the second group is bigger. To change it we need to show to these people other ways of living, make them want to develop themselves, see new opportunities, widen their horizons. The best way to do it is to go to other places, other countries. That is one of the aims of AEGEE-Tyumen. Anyway, I need to say that in comparison to a lot of other cities of Russia the people of Tyumen are much more European-minded and progressive. By the way, for the last several years Tyumen has been in the top of cities with high standards of living. When the surrounding is comfortable it is easier for people to be a little more open-minded. Anya: AEGEE-Tyumen has 21 members. We’ve been founded in October 2014. Anya: Yes. People are very skeptical when they hear about some European NGO. A bunch of questions that we’ve faced: “So who is your boss?” “Who pays for all these and tells the association what to do?” “Are you being paid for recruiting us?” The idea of a fully volunteer and at the same time not state-budgeted organization seems weird to people, we are not used to this. Anya: Honestly, well, we are targeting the people who are ready to go to travel: those who already are adventurous, or are just in the right moment to start to explore the “big world”. We are showing all the benefits that they will get making such an effort as traveling far away. Anya: To these directions a one-way price will be minimum 100 to 250 Euros, depending on the season. Of course if you need to travel to not so central and big cities the price goes up pretty much. And another challenge for Tyumen travelers is time. To travel almost anywhere, at first we need to fly to Moscow, which takes three hours, and then going on with possibly more stops to Europe. So for me personally 16 to 20 hours of traveling to the final destination is normal. Despite the fact that we need to buy expensive flight tickets we have really well-developed transport connections, more than ten flights to Moscow every day – and then the world is yours. Anya: Yes, it is. As we don’t have any consulate offices in Tyumen we need to go to the nearest one in Ekaterinburg, which means five hours travelling by train or car. They work only on working days and you need to be there in person both for giving your documents and receiving the visa when ready. So you need to spend at least two days of your work or study, plus of course all transport expenses. An alternative is only a tourist agency with which you don’t spend time to go to another city, but the prices start from 280 Euros. 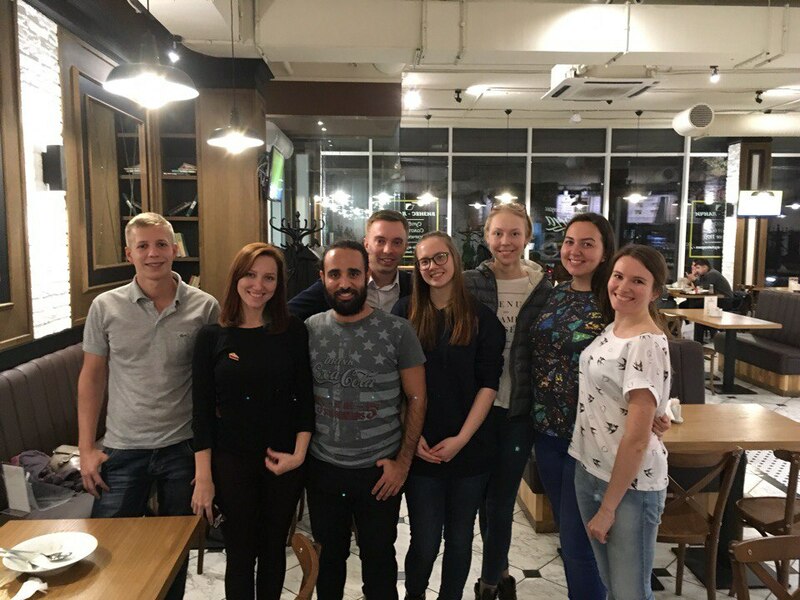 AEGEE-Tyumen cooperates closely with AEGEE-Moskva. Anya: We are situated in the heart of Russia on the Transsiberian railway! A more serious answer, yes, for the connection with AEGEE and logistics we are not in a good location. But our geographical position makes us an important city in Russia: we are a transport hub between capitals and the oil-gas fields as well as Kazakhstan. 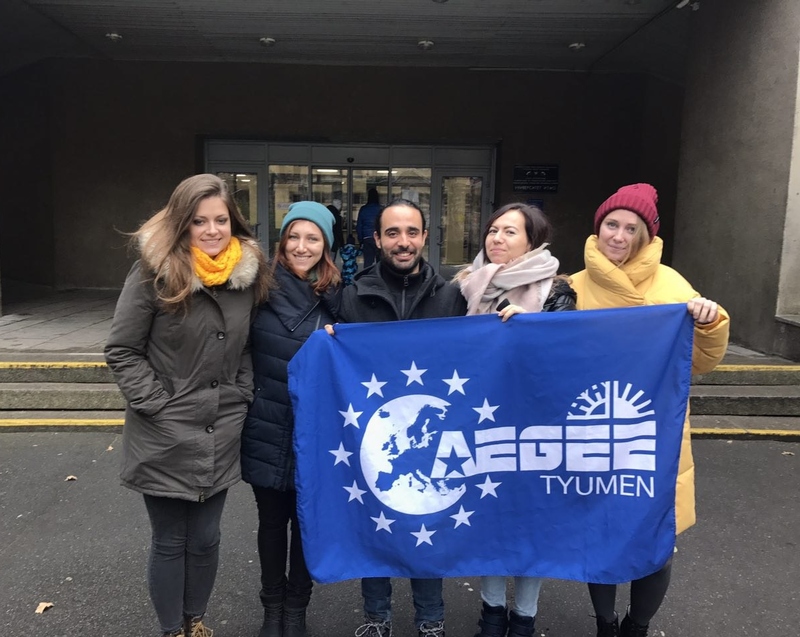 For AEGEE our main advantage is that we are kind of an exotic antenna: located far from the geographical Europe and very far from the EU, somewhere in Siberia, but still with strong European values. 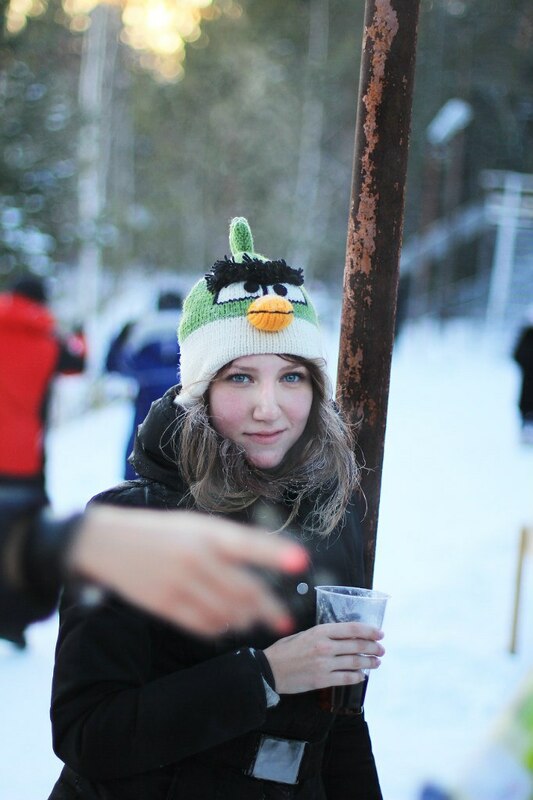 Anya: As AEGEE-Tyumen is a really young local we had only one event, our New Year’s event “Meanwhile in Siberia”, which just finished. Honestly we all – AEGEE-Tyumen and AEGEE-Moskva – feel proud of our PR programme during the Agora Catania 2017. We got 64 applications for our New Year’s event – for 24 places. Actually, our participants were amazing! 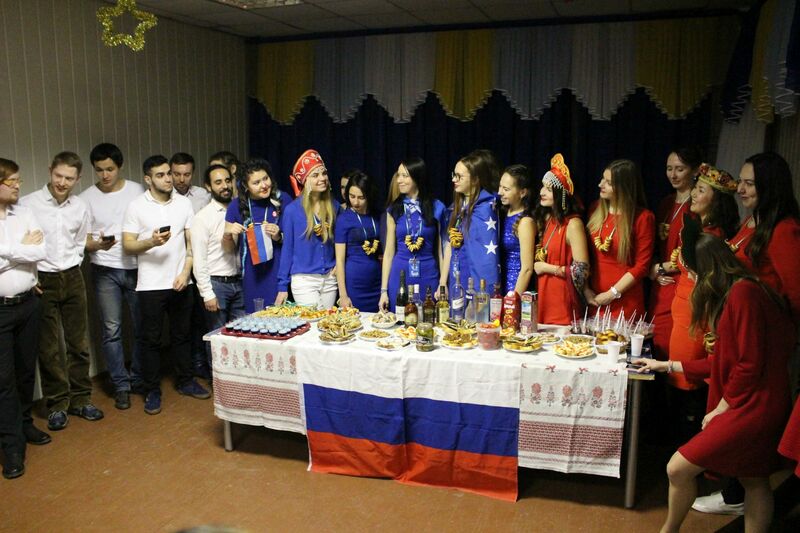 The New Year’s event of AEGEE-Tyumen was a great success. 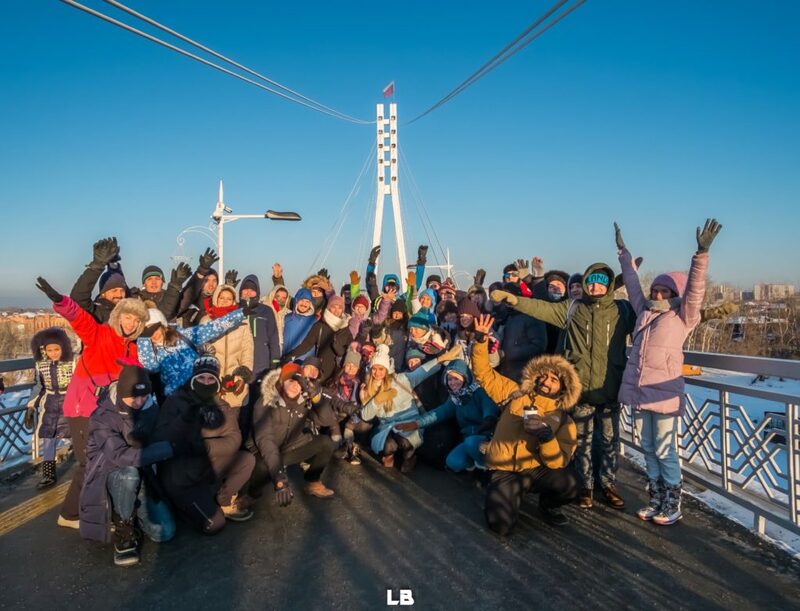 Anya: We have a strong connection with AEGEE-Moskva; we have been cooperating for three years in a row for the TSU “Transsiberian Dream” and this year made a whole event together – our epic New Year’s event. For sure we are going to continue our good partnership. Anya: We are planning to participate again in the TSU “Transsiberian Dream” to be their host for a couple of days on the way to Baikal Lake. And now after our successful New Year’s event we are really thinking to make a second edition this year. AEGEE-Tyumen is waiting for you! Anya: We like our location. Our region is supported by our local government and is economically developed. Though we don’t have a good level of tourism in West Siberia, it gives us this chance: to open our region to foreigners and to help our region through this. Also, thinking pragmatically, it means that we can get support of the Tyumen department of culture and tourism, they are interested in international communication. So, living at the edge of Europe is challenging, but gives opportunities, and we are going to use it!